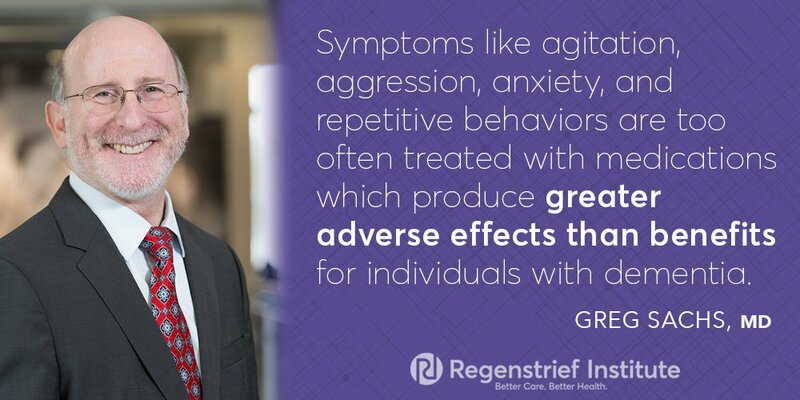 INDIANAPOLIS – Individuals with dementia often experience burdensome symptoms such as agitation, aggression, anxiety and pain, but have difficulty with comprehension and communication, making it challenging for healthcare providers to provide appropriate treatment. With the goals of improving care for symptom management and other burdens of dementia as well as empowering their family caregivers, researchers from the Regenstrief Institute and Indiana University Center for Aging Research are integrating state of the art dementia care with palliative care through an innovative supportive care model they have named IN-PEACE. The initiative is funded by a new $3.5 million grant from the National Institute on Aging. IN-PEACE is the first randomized controlled trial that simultaneously targets patient symptoms, caregiver mood and distress as well as the reduction of burdensome and potentially unnecessary treatments for community dwellers with dementia. IN-PEACE provides support by nurses and social workers for both decisionmaking and transitions in care. “As we treat discomfort and other significant hardships in the individual with dementia, we are working with family caregivers to lower their stress and hopefully see less depression in these spouses, daughters, daughters-in-law and others who are bearing such a tremendous burden.” Dr. Sachs, an internationally respected leader in geriatrics and palliative care, directs IU School of Medicine’s Division of General Internal Medicine and Geriatrics. IN-PEACE is an acronym for Indiana Palliative Excellence in Alzheimer’s Care Efforts. Palliative care, which focuses on providing relief from the symptoms and stress of a serious illness by understanding and meeting a patient’s preferences and goals, can be extended to patients with any serious illness. Palliative care, though frequently provided to cancer patients, is far less often offered to patients with dementia to help them and their families navigate the course of this severe, and often lengthy, illness. IN-PEACE will enroll 200 patients from throughout central Indiana with Alzheimer’s disease and other dementias including cognitive impairment from Parkinson’s disease and stroke in addition to their 200 caregivers. Each patient-caregiver pair will be randomized to usual or enhanced care. Outcomes of the two groups will be compared. Usual care will consist of the primary care and any specialty care that the dementia patient and family member is already receiving in their community. Enhanced care recipients will receive usual care plus an additional layer of support spearheaded by a nurse or social worker who will maintain regular in-person and phone contact with the patient and caregiver, conduct routine assessments of anxiety, pain and other symptoms and intervene rapidly rather than waiting for the individual to come to his or her physician’s office or to go to a hospital emergency department. Although the onset of cognitive impairment can occur at any age, risk for dementia increases with age. The U.S. is getting older, and the Census Bureau reports that in 2015, nearly 15 percent of the U.S. population was 65 or older. In addition to Greg Sachs, MD, IN-PEACE co-investigators include Alexia Torke, M.D., and Kurt Kroenke, M.D., both of the Regenstrief Institute and IU School of Medicine; Mary Guerriero Austrom, Ph.D. of the Indiana Alzheimer Disease Center and IU School of Medicine; Sujuan Gao, Ph.D. of IU School of Medicine and Susan Hickman, Ph.D. of IU School of Nursing, Dr. Sachs describes them as an all-star team with expertise in palliative care symptom management, family caregiving and biostatistics. IN-PEACE will enroll its first patients and caregivers in January 2019. Study participants will be referred to IN-PEACE by the Central Indiana physicians the patient routinely sees.